This fall’s first home double header will take place Saturday, August 30th at the Coralville Marriott. Both the Old Capitol City All-Stars and Ped Maulers will take the track against the Twin City Derby Girls from Champaign-Urbana, Illinois. The first whistle is at 7pm and will start the All-Stars against the Travelers, and the Ped Maulers will follow against Plan B. Tickets can be purchased for $10 at New-Pioneer Co-op, Crossroads Tattoo or online at Brown Paper Tickets. Door price is $13, but bringing a donation for UAY will get you the $10 presale price at the door. Kids 10 and under are free. RSVP on Facebook. Coming off a win last weekend against the Quad City Rollers, the Old Cap All-Stars are looking to continue their momentum. Twin City visited last fall during a similar double header in August, and they took a strong win, 262-133. The year before, Old Cap took the win by 42 points at Monster’s Brawl, so they will be wanting to avenge last year’s loss. If WFTDA rankings are telling, Old Cap may have the advantage at #65, while Twin City has fallen a bit in a year’s time, and sit at #77. The All-Stars roster has had quite a few changes since the spring, due to people leaving, and last weekend had more of a mix up with a few skaters on vacation. The slow start against Quad City seemed to be a result of that, but the team learned and adapted throughout the game to pull out the win. Fannysaurus Wrex and Jenna JAMisON will be back on the track this weekend, but with a few newer skaters in the mix, it will be another good test of the bench. As a growing league, skaters have gotten lots of time on the track all together and in separate teams, which has helped strategies be more cohesive for the skaters who may not have seen as much track time with the All-Stars in the past. Twin City had a strong season last year, rising in the rankings as high as #67 in September, but have since then been a little less consistent. Before they beat Old Cap last year, they also had a 123-point victory over St. Chux, but in March of this year, the tables were turned and they lost to them by nearly the same amount. At Skate to Thrill in April, they beat Fargo Moorhead and North Star, but loss to the Brewcity Bruisers. Old Cap has had the same outcomes against the same teams, but did a little better against Brewcity. Just last month, the Travelers took on North Star again, and only won by 10 points, whereas the All-Stars have consistently beat North Star by 60 points or more. And just a few weeks ago, Quad City beat Twin City by 17 points, indicating they should be good competition for this weekend’s first match up. When Twin City came last year for the double header, the Ped Maulers had played Cedar Rapids instead, so they haven’t been against their Plan B team. Rosters indicate that many of the Twin City skaters will be playing both games, which could mean a more experienced team. 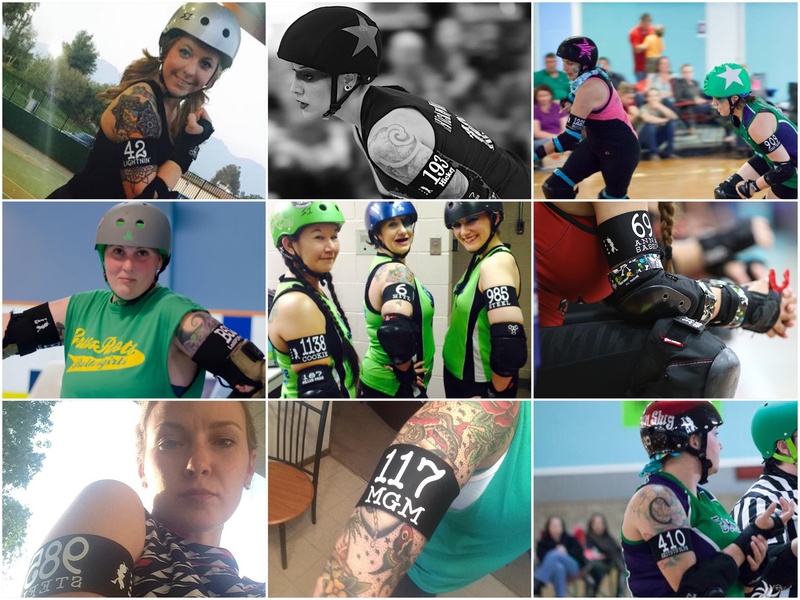 There are a few skaters, such as Ima Golddiggah and PyroMAGniac who have been consistent crossovers between the Old Cap teams this year as well, and have given strong leadership to the Maulers. Their roster has filled out more though, and after six games so far this season, the young team has finally gotten a lot of experience with each other on the track. So far all six games have been losses, but the passion and knowledge within the team has grown immensely with each. The Ped Maulers have three more games yet this fall, so they still have plenty of time to put some wins up on the board. Doors open Saturday at 6:15 and the first bout will get going at 7pm sharp! Get there early to drop of your donation for UAY, pick up some fabulous merch and settle down in suicide seating for and exciting night of derby! The next home bout will be FRIDAY September 19th, and will be Old Cap vs Old Cap in another fun, intraleague battle.